The 77 mile Swale Way follows the length of the River Swale in North Yorkshire from its confluence with the River Ure near Boroughbridge to its source at the head of Swaledale in the Yorkshire Dales National Park. The Swale Way was originally conceived by John Brock of the Ramblers Association in 1995 and the pen and ink drawings reproduced in the route descriptions are from original artwork by Richard Collier. The 77 mile walk follows the length of the River Swale in North Yorkshire from its joining with the River Ure near Boroughbridge to its source at the head of Swaledale in the Yorkshire Dales National Park. 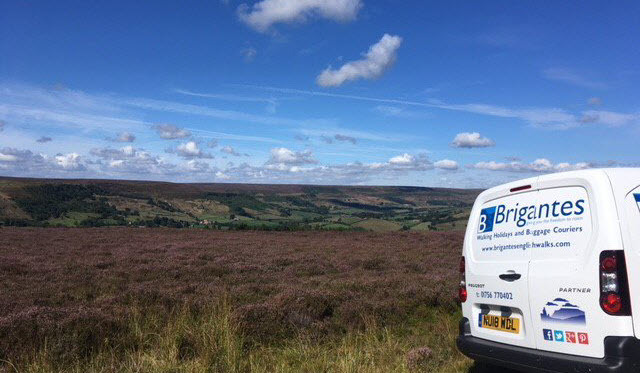 Along the way it passes through the historic market towns of Boroughbridge, Thirsk and Richmond, past famous battle sites and historic parkland, and travels the length of Swaledale, one of the most beautiful of all the Yorkshire Dales.